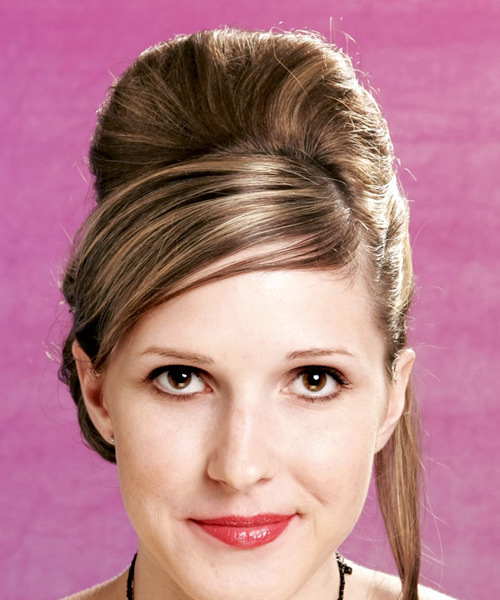 This is an elegant hairdo that suits any special occasion. Its curves, body and smooth lines make it gracious and best suited to those with naturally fine to medium textured hair. Allow ample time though to style this look. Allow up to 2 hours styling time for hot roller setting, teasing, pinning and spraying. <br><br> This long lasting style is great for all occasions and all weather conditions.